Get in touch with our resourceful staff to start the first steps of the financing process. We even have an online application form to get started. We finance all used and new vehicles! Our staff believes in building a strong connection with our customers, so we will find you the right company to finance your car. Audi Downtown Toronto is committed to creating the best customer experience possible. Fill out the form on the side to get your application started. Once your contact information has been received by our dealership, someone will contact you immediately. 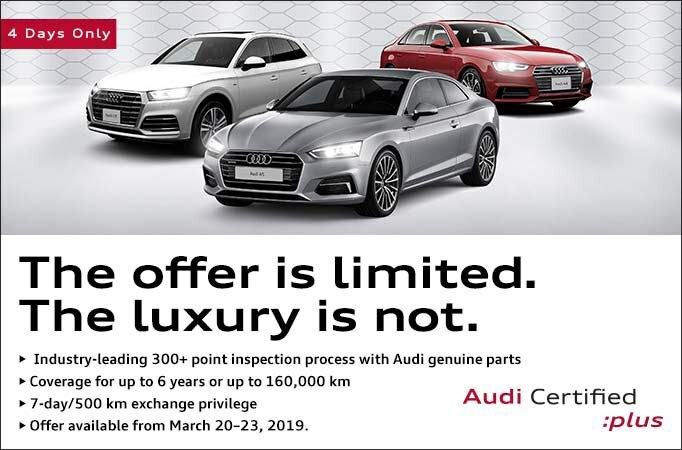 At Audi Downtown Toronto financing is easy!